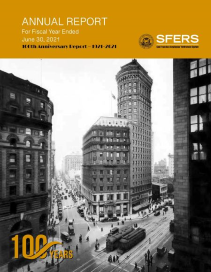 Welcome to SFERS! Retirement is a major milestone in one’s life and it is never too early to start planning for that day. 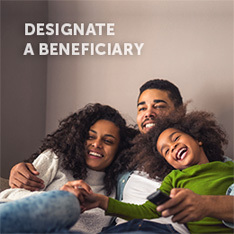 A Pension Plan (defined benefit plan): provides service retirement benefits calculated using a formula based on age at retirement, years of service and final compensation. 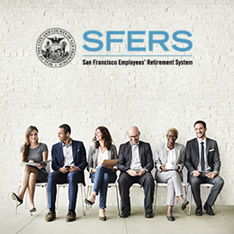 *Employees working in a temporary/provisional position are eligible for SFERS membership after having earned 1,040 hours in any 12-month period. 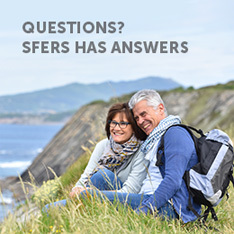 Prior to reaching 1,040 hours, you will receive a letter from SFERS informing you of the date you are eligible for retirement membership, along with instructions for completing the new member enrollment process.